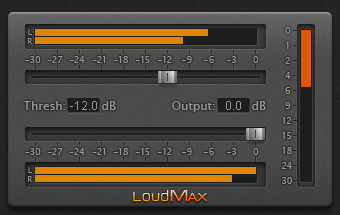 a beta release of a 'Pro' version of Barricade limiter. Adjustable input gain between -16db to 16db . input signal should stay below 0db. Adjustable Attack from 0% to 100 %. Adjustable Release from 0% to 100 %. Adjustable Driver from 0% to 100 %. Boost mode to use a "warmer" algorithm. 2X mode to produce more agressive results. 10 presets to get started.